This is for any DIY person who is looking to make a Ocean party. Just print out, cut around the edge, take a glue dot (the self adhesives work best) and attach them (front to back) to a tooth pick. Easy Peasy. Then voila! You have a cupcake topper or even use them as part of a cake topping. Your purchase is for one high resolution .jpg file in the size of 8.5 x 11. 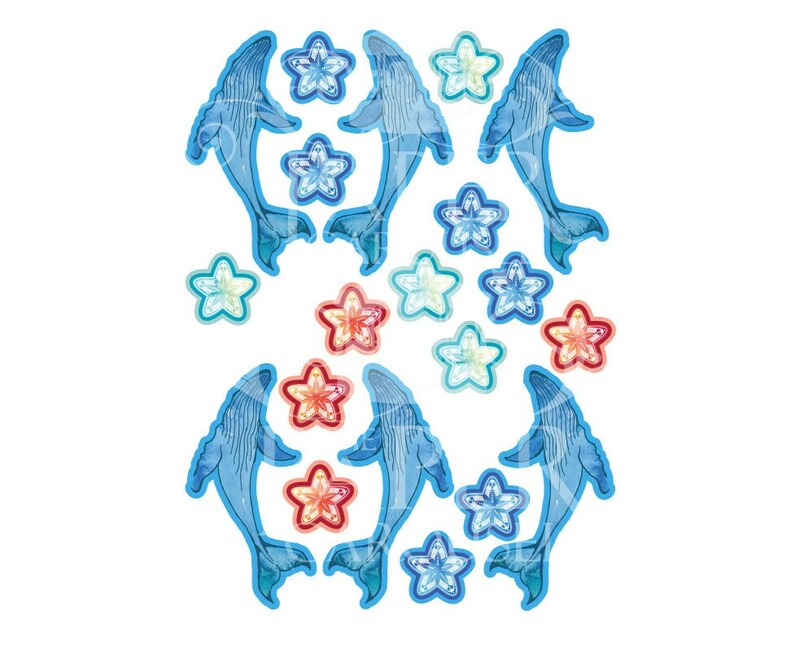 It will print completed Large Whales (front and back) and 7 small starfish (front and back). The Whales are 4 inches tall once cut and 1 inch for small starfish. I hope you love them as much as we do.